Q: What do you make and how did you get started? Kaitlin: My name is Kaitlin Goodey and I produce greeting cards and gift products featuring my watercolor illustrations and sassy sayings. I grew up in a family of entrepreneurs and was always brainstorming my own business ideas. For so long I told myself I couldn't draw but over the years I was pulled to it. I kept pushing through ugly paintings and drawings and finally came up with my current drawing and painting style. Using watercolor paints was a break through for me! I've just always had a yearning to make things that made people happy! So I started with a greeting card line and have now expanded into gift products as well! Jill: I'm Jill Evans! I am a menswear designer. 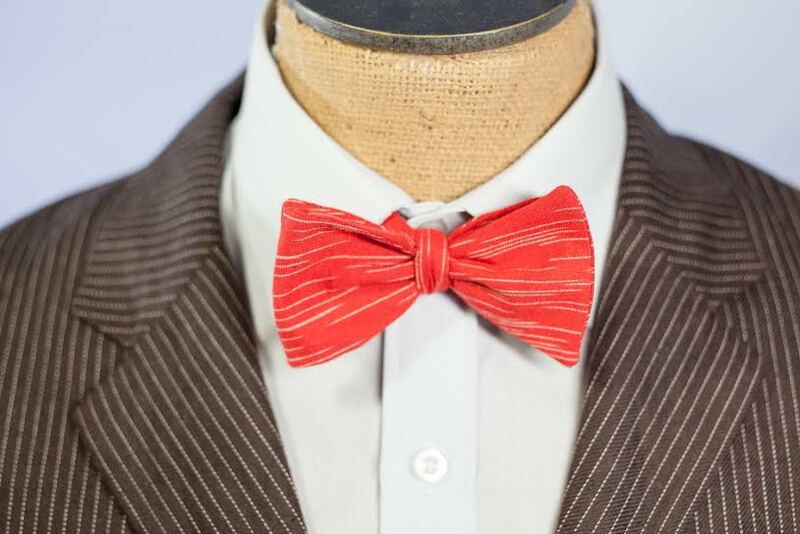 Bowties are our main product, but we have an entire line of men's items- ties, pocket squares, leather passport cases, grooming products, travel pouches, lapel pins and cuff links. I began my sewing career in a baby carrier "helping" my seamstress mom. I further developed my needle skills through 4-H and the Finger Lakes Lace Guild. Over the years I've won numerous ribbons at the local and state levels. During high school I worked at a fabric shop. I also learned the menswear trade, helping my mom in the tailor shop and working in sales and fitting. 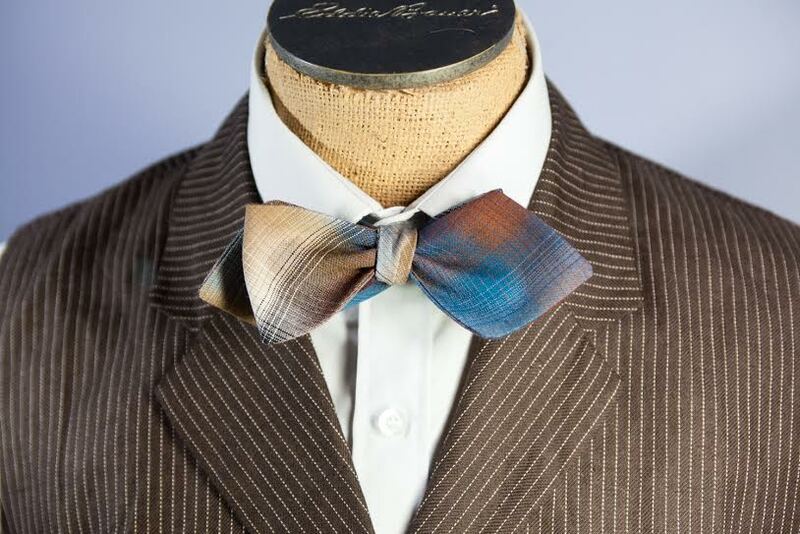 After moving from New York to the west coast in 2008, I became an entrepreneur with Hapertas & Company, specializing in men's bowties and other accessories. Kaitlin: I regularly participate in monthly meet ups in the area which I love. Plus, back when I had a brick and mortar store, I sold handmade goods and advised many new handmade businesses on how to work with stores, price their products and source information. Jill: I've been a maker my entire life, and most of my friends are makers of some sorts. I'm always talking to them about ways to better ourselves and our products, bouncing ideas off each other. Q: Why are you excited to start the Academy of Handmade chapter in Seattle? Kaitlin: Seattle is a great place but people kind of stick to themselves or their already established social network so I am really excited to provide another avenue for creatives in the area to connect. I also am addicted to learning and love supporting people, so the business education aspect of our meet-ups is right up my alley! Jill: Seattle is notorious for people not talking to each other. The maker community here is so large and diverse, and we all can use encouragement and resources. I feel like a Seattle Chapter will really help bring our community together. Q: Share a little about what you love about the handmade community in Seattle. Kaitlin: We have fiercely passionate, driven and creative people in our handmade community here in Seattle who are ridiculously inspiring and supportive! Jill: Everyone is so creative! I'm always in awe as I walk the shows, seeing what everyone comes up with. Q: What's your favorite thing about Seattle? Kaitlin: I love all the lush greenery and sweater-weather! Jill: We have better poutine than Canada. True story! Everything here is amazing. The mountains, the water, the desert and the rain forest, the food, the people. I could do with a bit less rain though. If you would like more information about chapters and how you can start one in your area, go here.